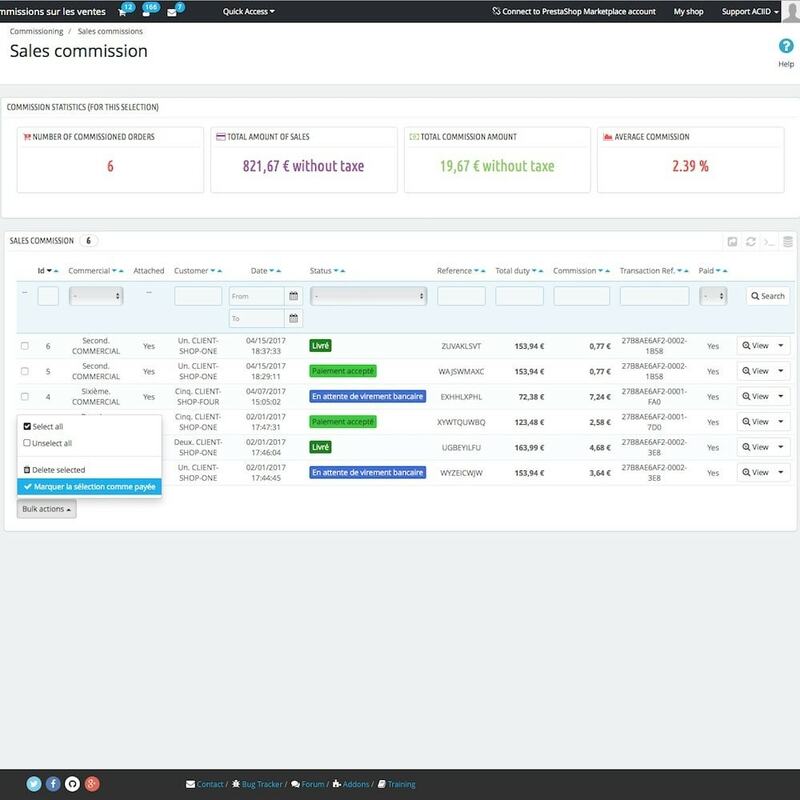 The sales commissions module allows you to get sales commissions from your sellers in a few clicks and track their payment. 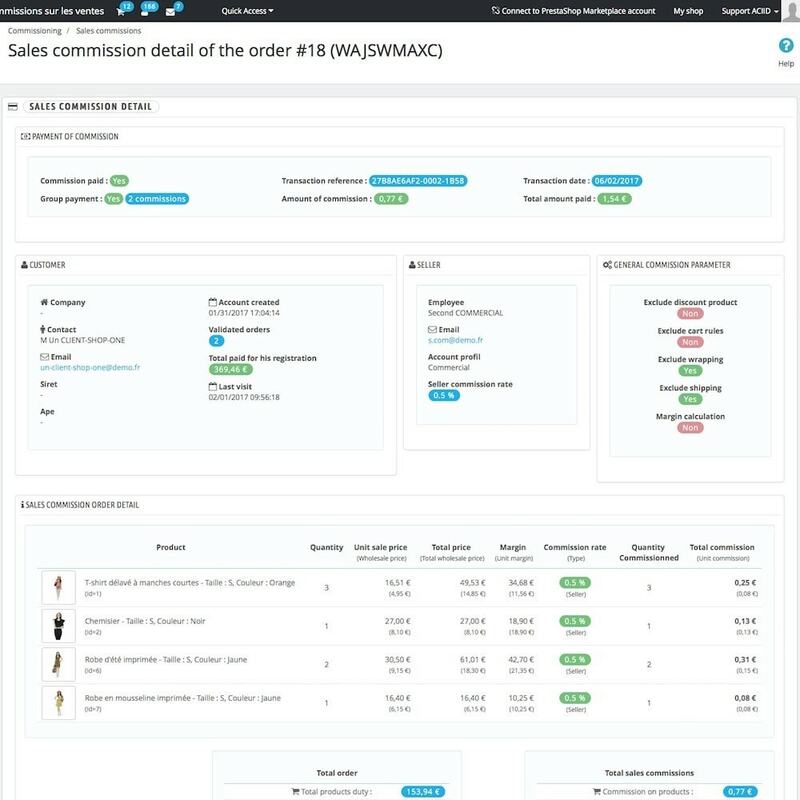 It allows a visualization of the commissions according to several levels of filtering with a detailed view for each commissioned order. Support Request FormCalculation of commissions made on the exclude taxe. Calculation and display of the total commission to your filter criteria. Mark the payment of commissions (individual or group) with allocation of a single transaction reference. 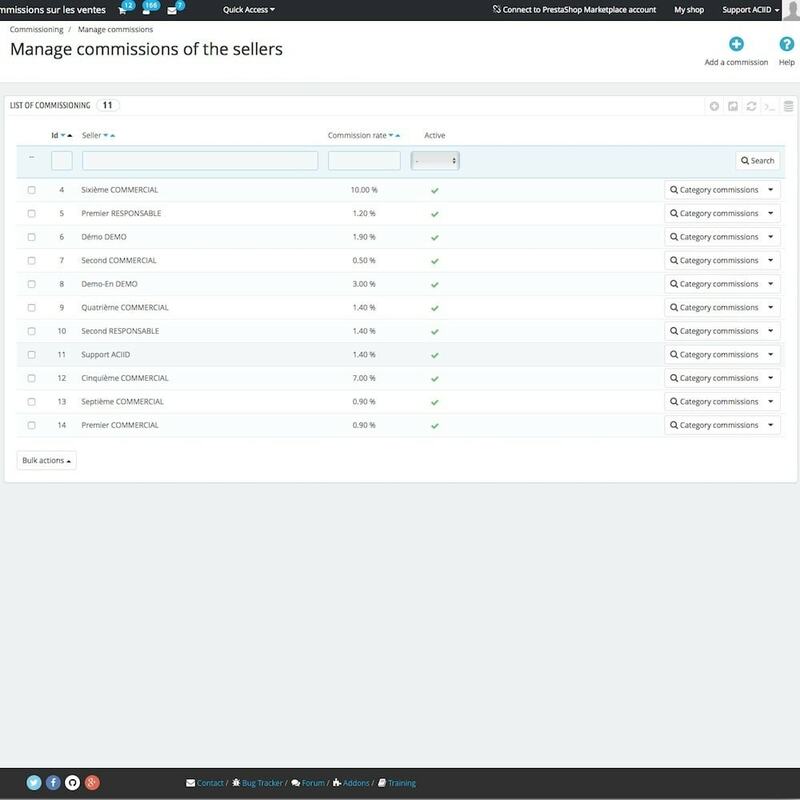 Management commissions in multi-store mode. Rate management commission merchants in multi-store mode. Ability to commission several vendors at the same rate once. Possibility of setting commission rates by category. 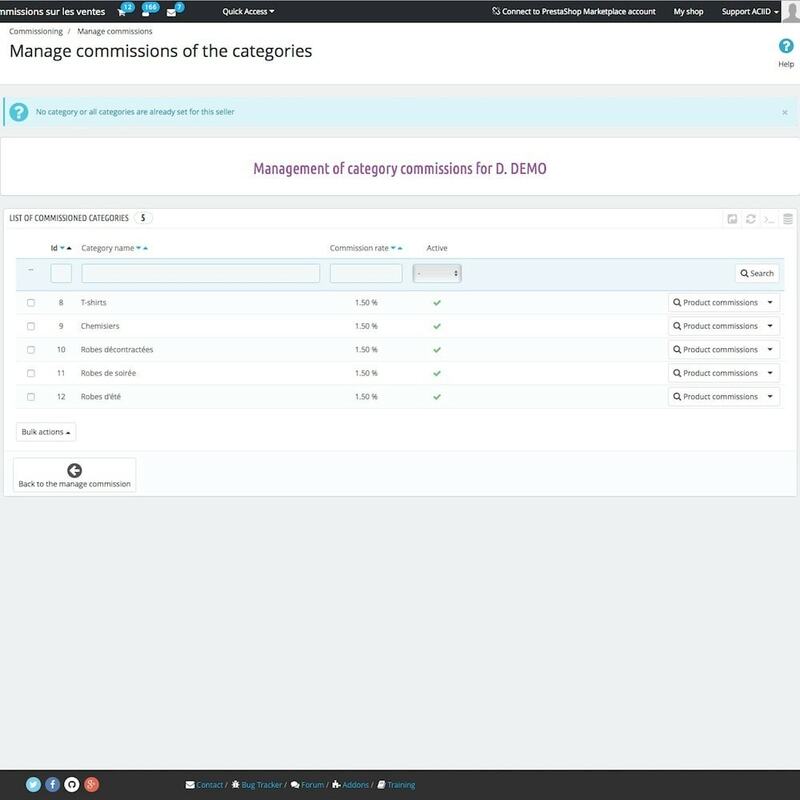 Rate management commission categories in multi-store mode. 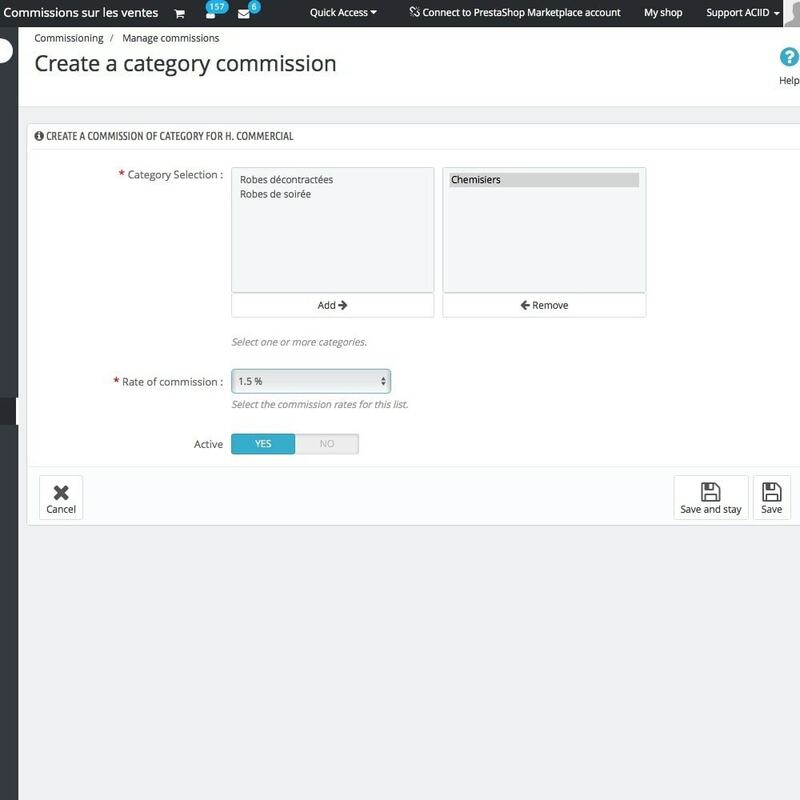 Ability to commission several categories at the same rate once. Possibility of setting commission rates by products. 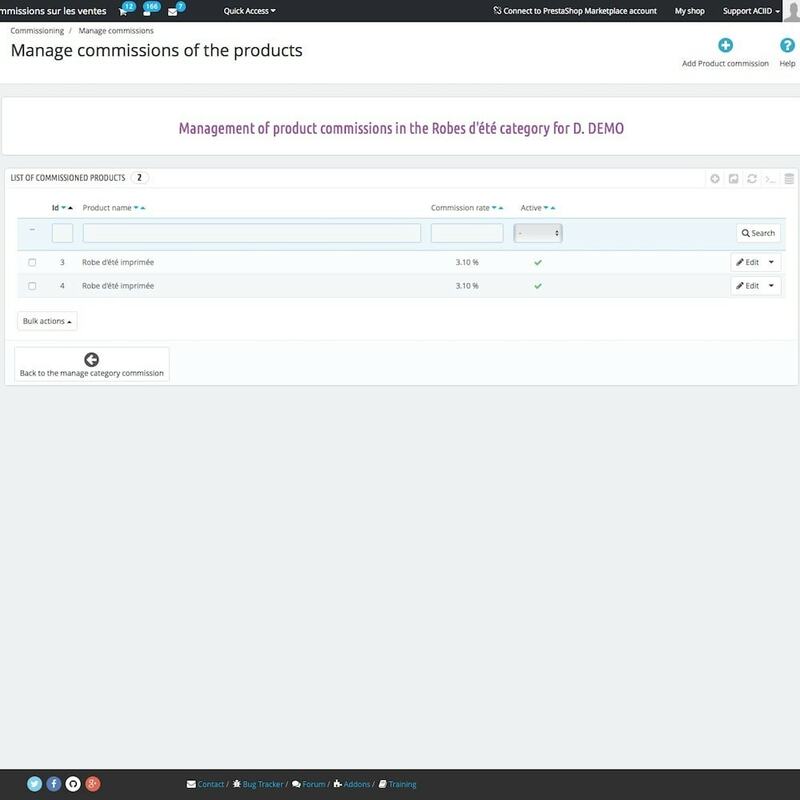 Rate management commission of products in multi-store mode. 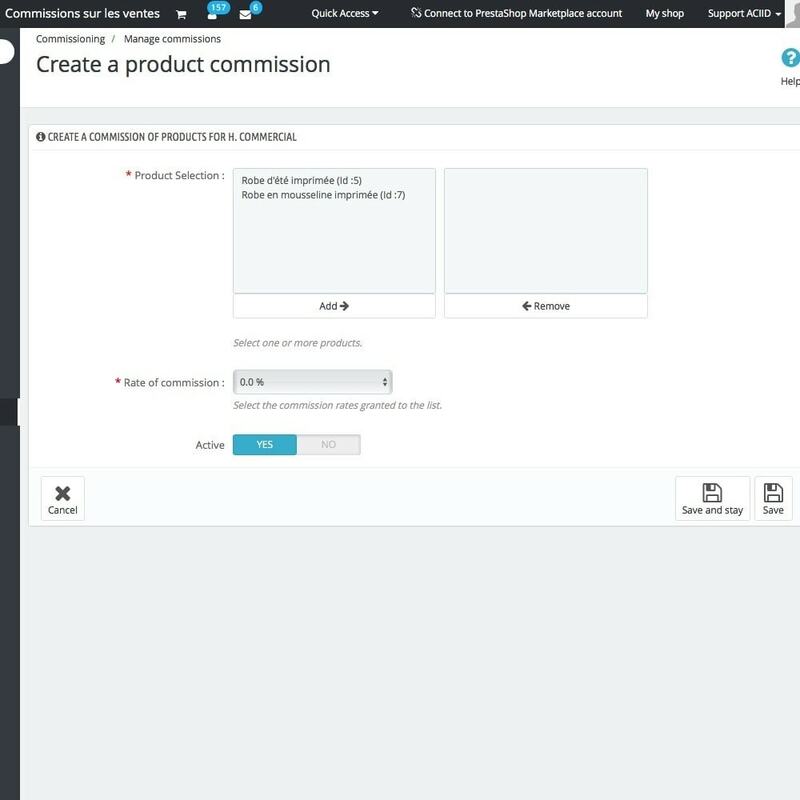 Ability to commission several products at the same rate once. Possibility of linking to a seller several customers at once. 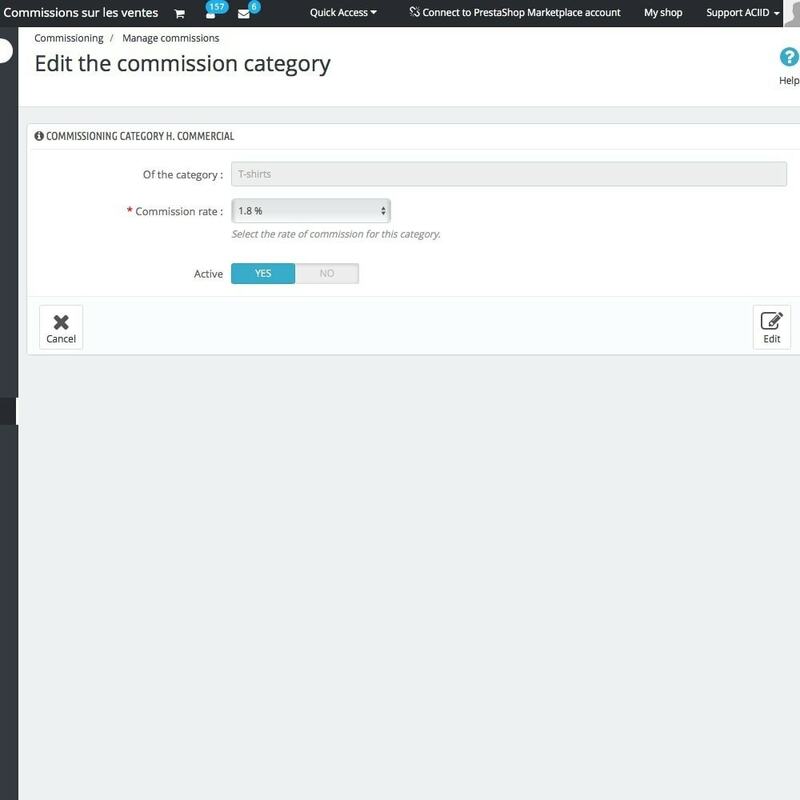 Ability to see in detail the calculation of commission orders. Possibility to exclude or include promotional products. Possibility to exclude or include cart rules. Ability to exclude or include delivery costs. Ability to exclude or include packaging costs. 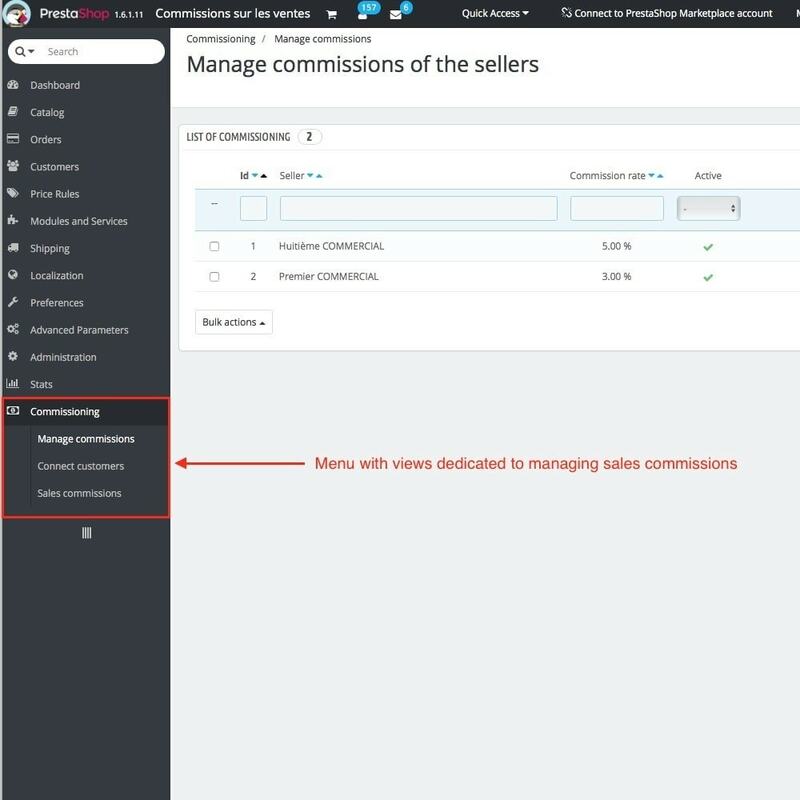 Ability to calculate commissions on the margin or on the sale price. Automatic linking possibility of customers BO. 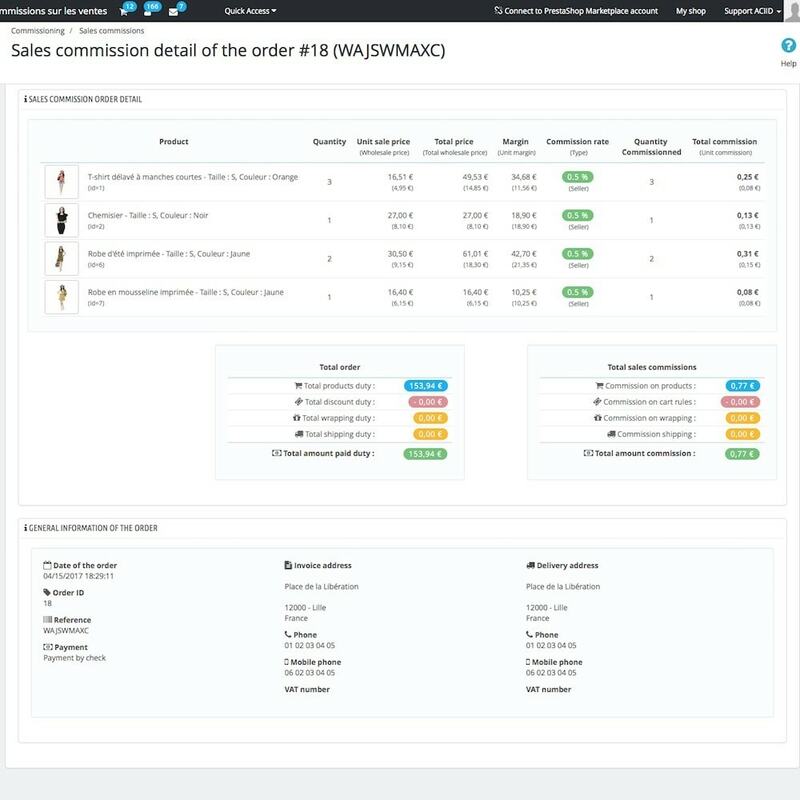 Ability to calculate commissions on a home categories and products. 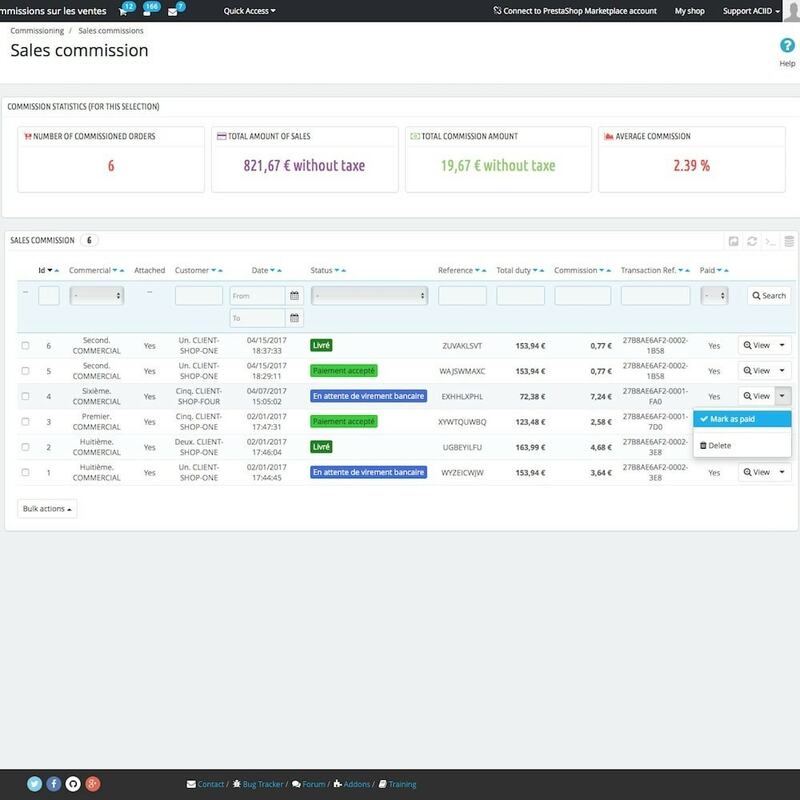 Ability to limit the display of commissions for salespeople. 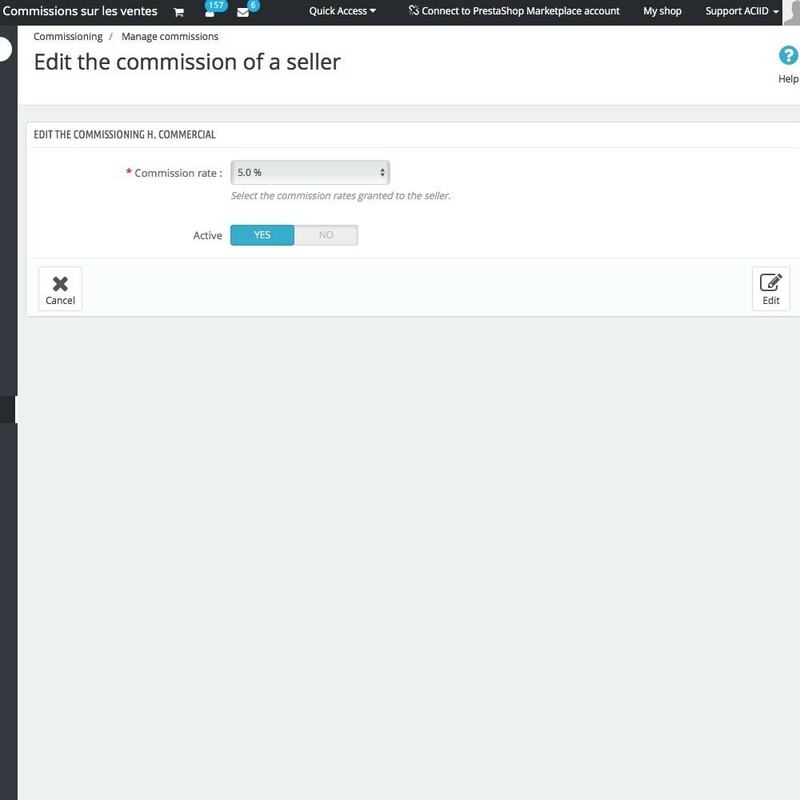 Ability to calculate commissions based on order status. 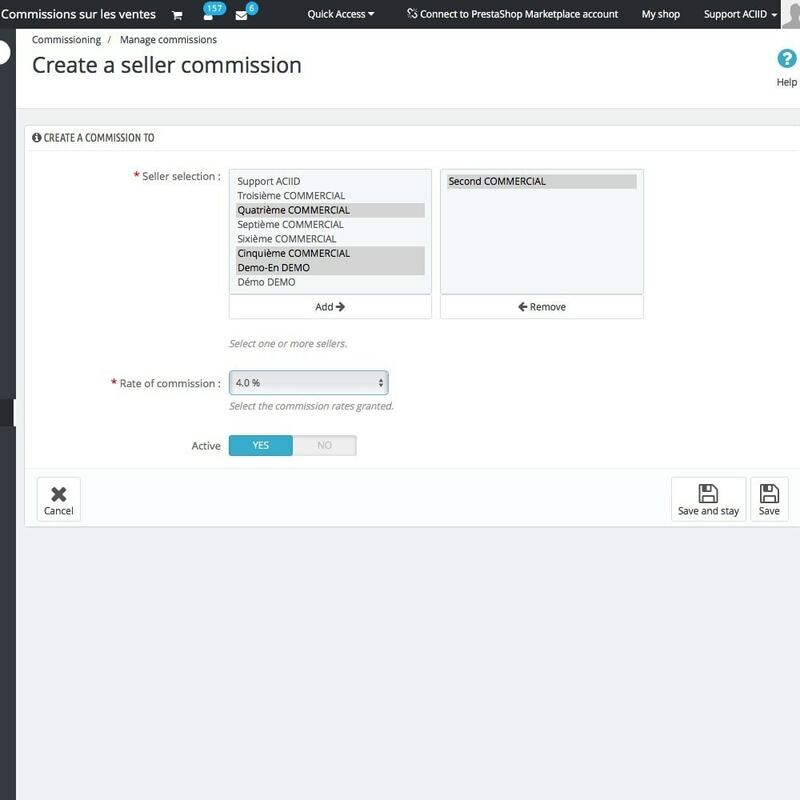 configuration parameter to set the minimum percentage of sellers. 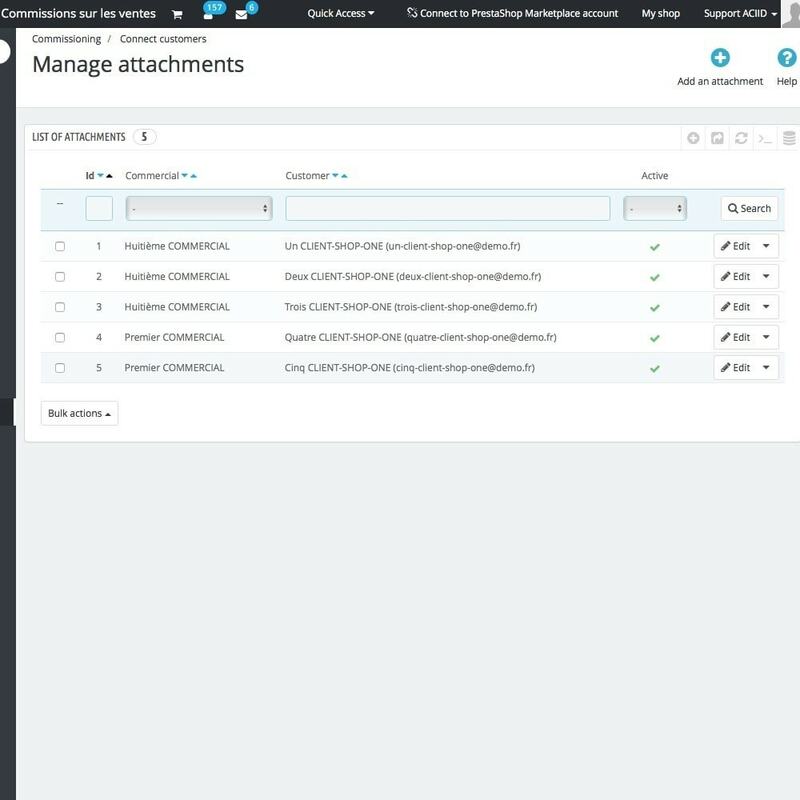 configuration parameter to set the maximum percentage of sellers. configuration parameter to determine the accuracy of the percentage of sellers. configuration parameter to set the minimum percentage categories. 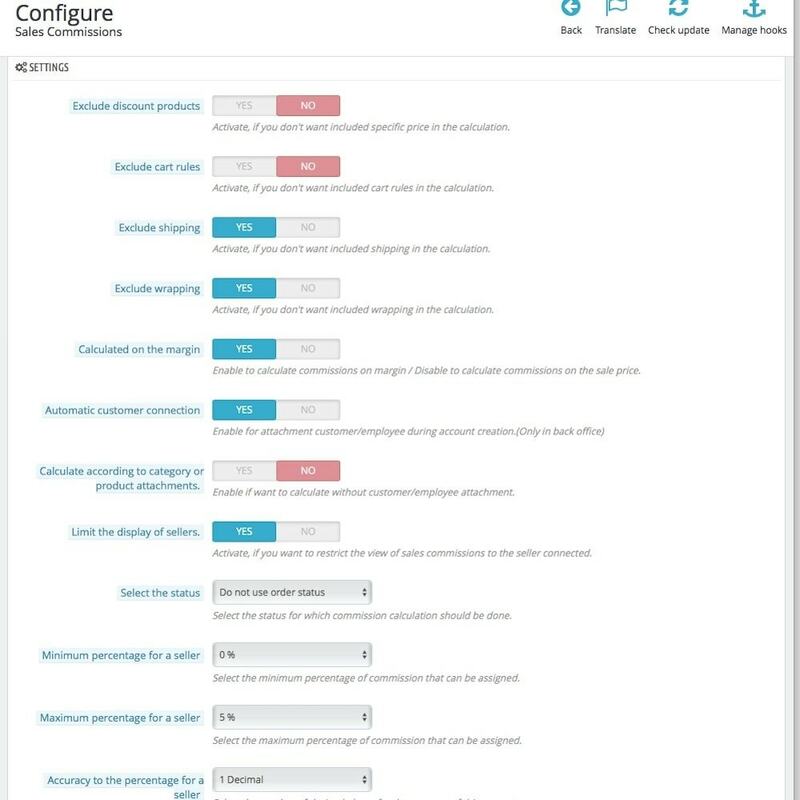 configuration parameter to set the maximum percentage categories. configuration parameter to determine the accuracy of the percentage categories. configuration parameter to set the minimum percentage of revenues. 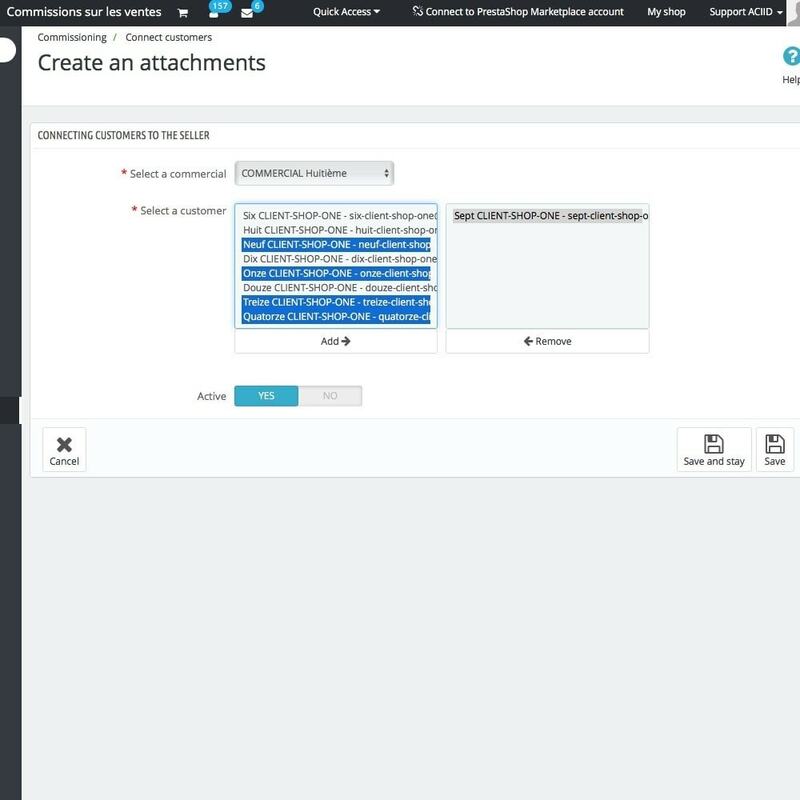 configuration parameter to set the maximum percentage of revenues. 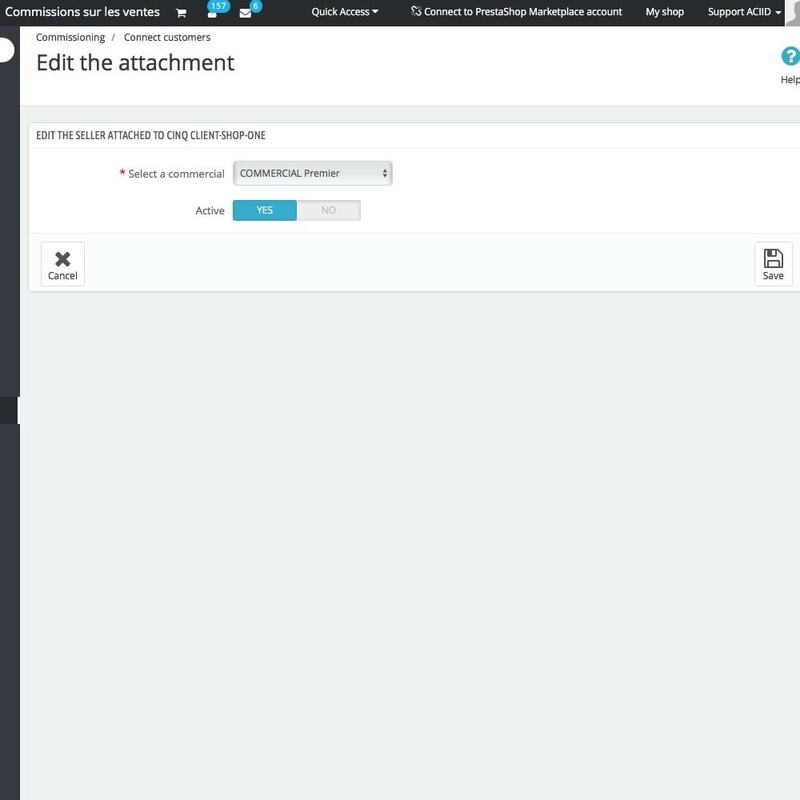 configuration parameter to determine the accuracy of the percentage of revenues. 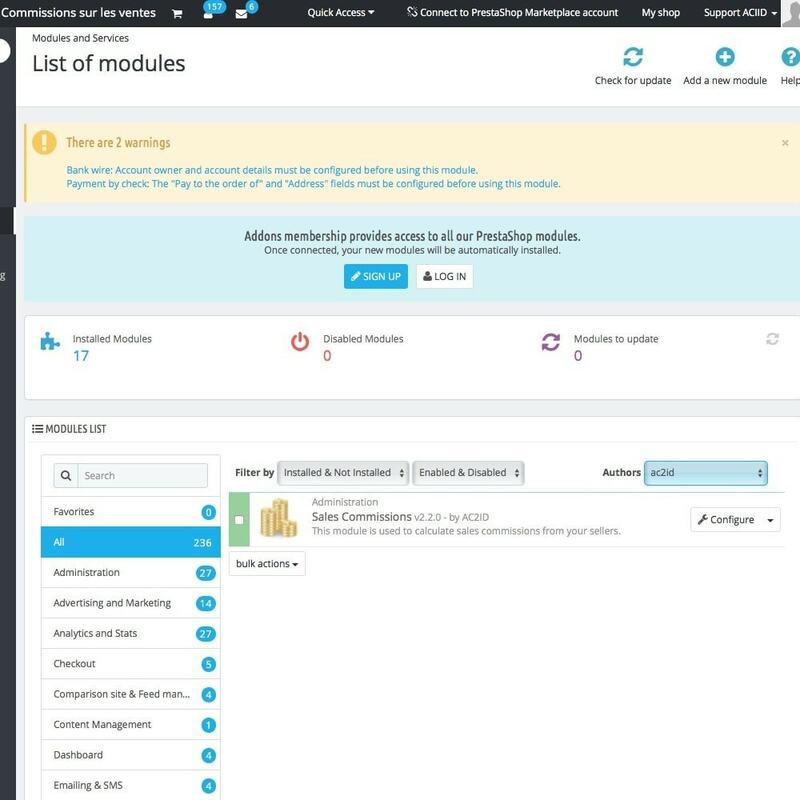 Link Module User Guide, by language (French and English only). The installation is complete, click on "configure". Set your commission rates for each seller and if necessary rates by category and product.